When a wealthy woman offers actress-turned sleuth Alice Nestleton $2,500 to watch over her precious cat, it's an offer she can't refuse. But when the woman is shoved out of her limo and gunned down right in front of her, Alice feels it's her duty to help catch the killers. Teaming up with the dead woman's hard-bitten elderly neighbor, she delves into the victim's past and finds that it eerily intersects with her own. With an unusual feline holding all the answers to a deadly mystery, Alice will have to stay ahead of a killer who wants to stop her from letting the cat out of the bag. About Lydia Adamson (Author) : Lydia Adamson is a published author. 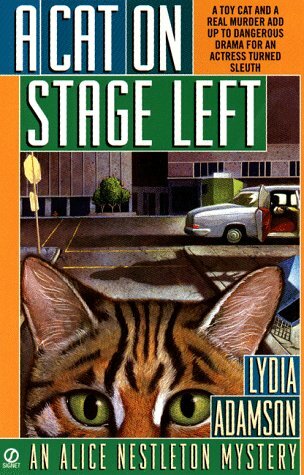 Some of the published credits of Lydia Adamson include A Cat On Stage Left.